An important part of Airwell’s strategy is to anticipate and go further beyond the new European regulations, safety standard and guidelines that will be applied soon. The requirements are covering all the cycles of the production process from manufacturing to distribution and marketing. Reduce by 20% the emissions of greenhouse gases. 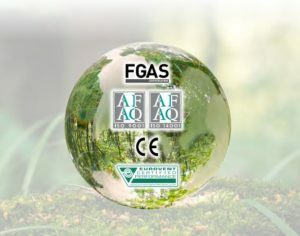 Increase by 20% the energy efficiency of energy systems in the EU..
Due to its international presence, Airwell Residential must comply with the most drastic regulations and standards related to the product’s manufacturing, safety, energy and design. Airwell products are designed as environmental friendly and safe.